Reclaim the City demonstration 1980s Demonstration against capitalism City of London England. 1984. 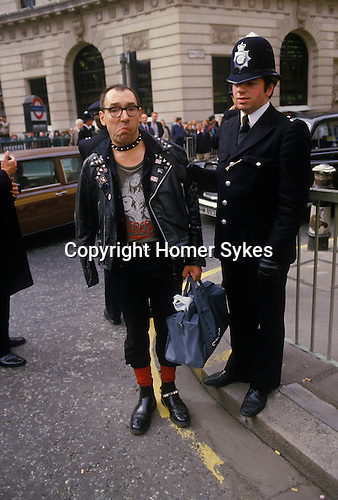 Police arest Punk Rocker older man outside the Bank of England.